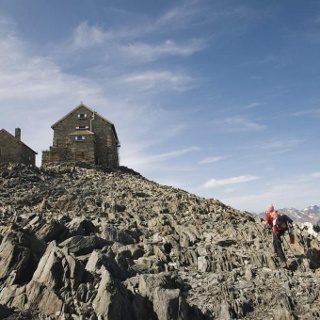 The first stage of this high Alpine loop hike leads to Brunnenkogelhaus at (2738 m) altitude. Here you continue on the panoramic high-altitude trail towards Timmelsjoch pass where the route crosses the South Tyrolean border and travels to Schneeberghaus (2355 m). 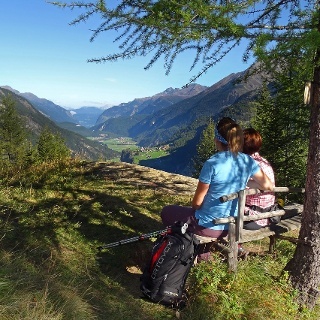 The return hike to Ötztal follows an ancient smugglers' trail via Windacher Scharte ridge. Close by you'll also find Siegerlandhütte (2710m). Traversing Gamsplatzl you ascend to Hildesheimer Hütte (2899 m) with lovely Zuckerhütl as scenic backdrop. 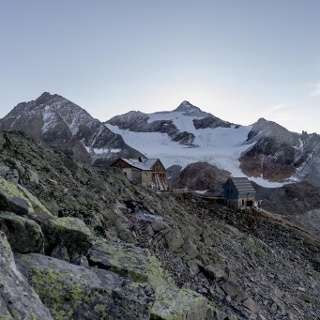 To get to Hochstubaihütte (3174 m), the tour's very last stage, you can choose between two options: The expert tour travels across several glacier fields at an almost equal altitude level (current information on the spot!) or along the nearly ice-free route through Warenkar cirque and via Himmelsleiter. Hochstubaihütte (3,174 m) - Hildesheimer Hütte (2.900 m) - Siegerlandhütte (2.710 m) - Gasthaus Hochfirst (1.860 m) - Brunnenkogelhaus (2.738 m) A classic for all climbers is the route 2 of the Ötztal Treks - Söldens quiet side! 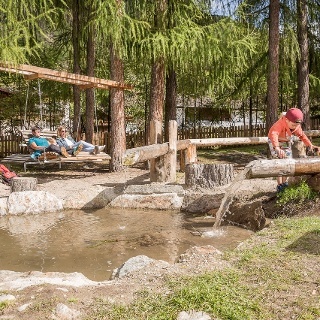 The route around the Windach Valley leads us along the old smugglers' paths - including a trip to neighboring South Tyrol! From the hut, we first take the direction of the river via Seekarsee in the opposite direction. Then follows the passage through the so-called heavenly ladder, through which the path descends in serpentine lines. Ropes and staircases facilitate the passage. We walk flat out to an emergency stop (key hangs next to the door), before the path leads to the Seekarsee in steeper terrain. Below the lake, you turn left and take the trail that goes east. After the swampy foothills of the shopping cart, the path winds its way upwards to the top of the Windachferner. You descend to the glacier and follow the path up to the Jochdohle restaurant in the ski area. Beyond the Gaiskarferner, we descend south-east to a rocky ridge until we reach further down the Hildesheimer Hütte. We first walk down the hut farm from the Windachal, then descend to the left to the Gaiskarbach. Afterwards the moraine of the impressive and famous Pfaffenfern is crossed, before it goes partly over Blockwerk to the Gamsplatzl (shortly before once rope safeguards). 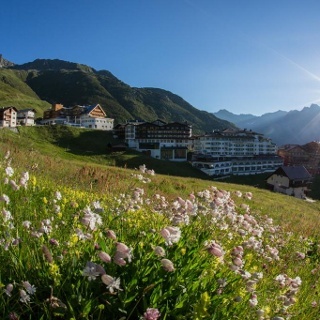 You can see the Zuckerhütl with 3.507 m and the most spectacular elevations in the Ötztaler Alps. On the other side, the trail climbs downhill in serpentines in steep terrain and leads us further down to the Triebenkarsee below the Triebenkarlasferner's tongue. 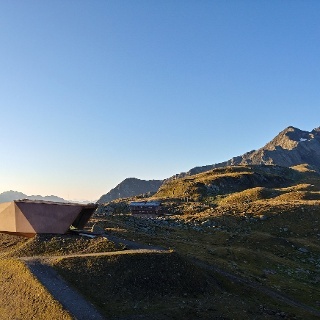 Then follows a passage without a substantial change in altitude, the trail crosses the steep slopes of the Scheiblehn and finally leads comfortably upwards to the Siegerlandhütte.